[UPDATE] The folks over at BimmerFile have kindly allowed us to share the other image (see below), showing the front of the car. 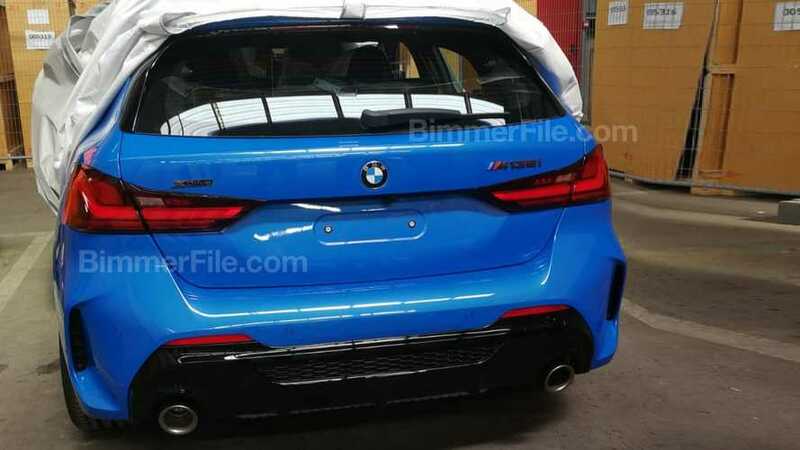 BMW must be on the verge of introducing the all-new 1 Series taking into account this all-paw M135i looks just about ready to hit the assembly line. 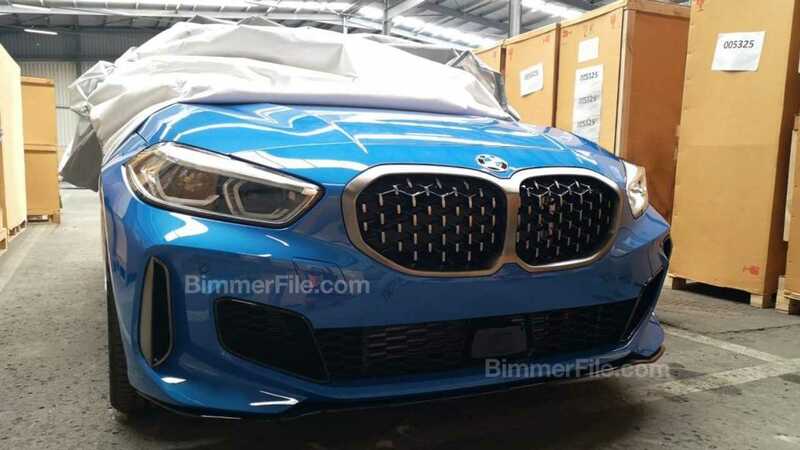 Replacing the rear-wheel-drive-based M140i, the new flagship 1er was spotted in an undisclosed location (warehouse?) with no camouflage whatsoever. There’s still a car cover getting in the way, but we can see the fully exposed rear of the sporty compact hatchback that’ll do battle with the Mercedes-AMG A35 and the Audi S3 Sportback. As it is the case with the X2 M35i, the new M135i xDrive will be powered by a turbocharged 2.0-liter gasoline engine rated at 302 horsepower. BMW hasn’t revealed the torque figure, but we won’t be too surprised if it’ll be 450 Newton-meters (332 pound-feet) as seen in the spicy crossover. It is BMW’s most powerful four-cylinder engine ever installed in a production car, and will be hooked up exclusively to an eight-speed automatic transmission. Integrated into the Aisin gearbox will be an M Sport differential offered as standard equipment for the M135i, while the switch to the FAAR platform will cut some of the weight. At the same time, the new packaging enabled by a FWD-based setup will free up more room inside the cabin for the passengers and their luggage. While the United States certainly won’t be getting this car, there’s a pretty good chance the 2 Series Gran Coupe will be offered in an M Performance guise. The swoopy sedan heavily related to the new 1 Series will premiere at the Los Angeles Auto Show in November and will go on sale in the U.S. of A. sometime next year.